SKS AirboyThe original mini-pump from the house of SKS is back with a beautiful design and innovativ..
A further development of a SKS classic. 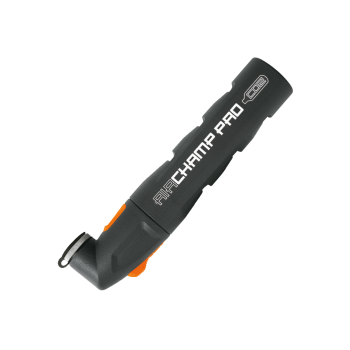 The AIRCHAMP PRO is a CO2 inflator offering easy single-hand..
SKS Infusion TT TransparentLight telescopic pump with T-grip. Telescopic function. Multi valve conne..
SKS Rookie XSLight pump for all bikes with high volume per stroke at short length. With mounting cli..
SKS S.A.M. (Suspension Air Mechanic) suspension pump is right for any tour, with its mini pump desig..